The Clinch Mountain Wildlife Management Area is the second largest in the Department’s management area system but has the distinction of being the most biologically diverse, due in large part to the vast differences in elevation on the area. The area’s 25,477-acres spread across Virginia’s southwest highlands, occupying parts of Smyth, Washington, Russell and Tazewell counties. The area is dominated by mountains rising steeply from narrow valley floors. Due to difference in elevation a unique forest had developed. Tree species from both southern and northern forests are found. Elevations range from 1600 feet to 4700 feet atop Beartown Mountain. There is considerable water on the area; a 330-acre man-made lake, one major stream and several tributaries. The land that forms Clinch Mountain Wildlife Management Area was virgin forest until the late 1800s. Evidence of the narrow gauge railroad used during logging can still be seen, and some of the old rail bed is now part of the management area’s present road system. The deer herd is producing quality, antlered bucks. Both bear and turkey are increasing as populations respond to habitat management. Excellent grouse numbers are expected to follow forest management practices that increase and improve brood range and other needed habitats. Hunting success for gray and fox squirrel fluctuates from year to year, primarily due to variable mast production. Rabbit hunting is often good, though populations do change tremendously between years. Numerous beavers on the area have created ponds throughout the area, producing excellent waterfowl habitat. Wood duck hunters usually enjoy success on these ponds, particularly during the first segment of the duck season. No reservations are required. 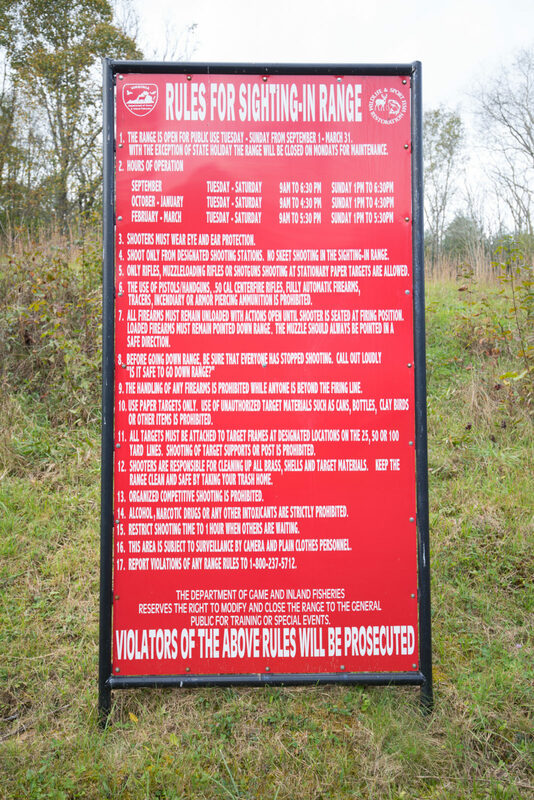 Visitors age 17 and older who do not possess a valid Virginia hunting, freshwater fishing, or trapping license, or a current Virginia boat registration, will need to purchase an Access Permit. September 1 to March 31, closed on Mondays except holiday Mondays. 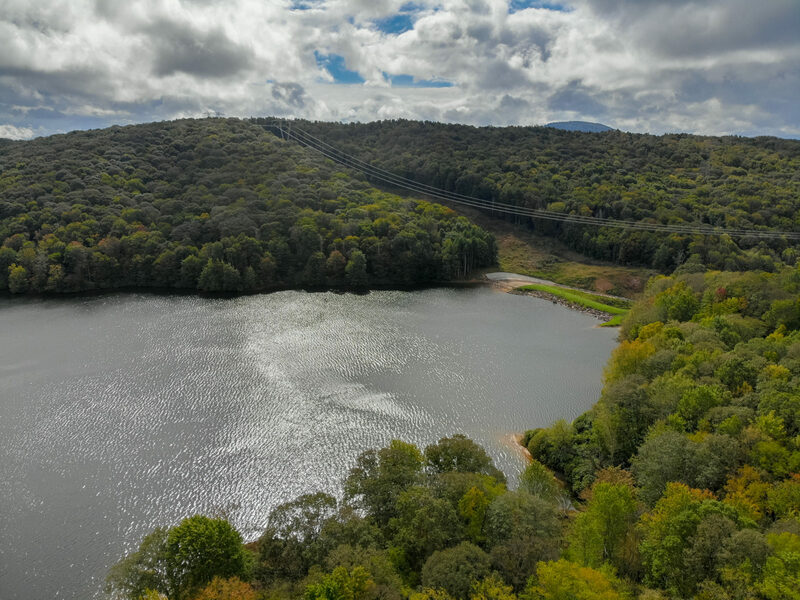 Clinch Mountain Wildlife Management Area offers anglers the opportunity to fish roaring mountain streams or placid, picturesque, 330-acre Laurel Bed Lake. Laurel Bed Lake supports a brook trout fishery. Smallmouth bass and rock bass populations also provide very good fishing in the lake. A trout license is not required to fish in Laurel Bed Lake. 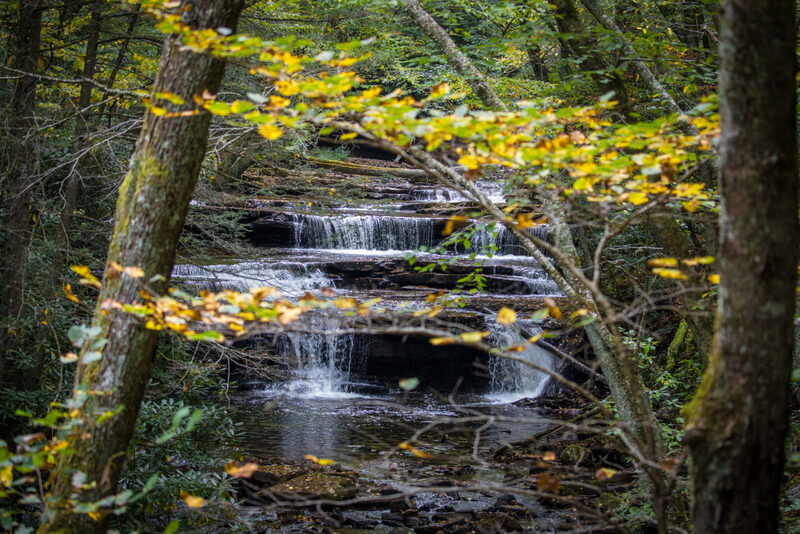 However, a trout license is required throughout the remainder of Clinch Mountain Wildlife Management Area from October 1 through the first Friday in April. 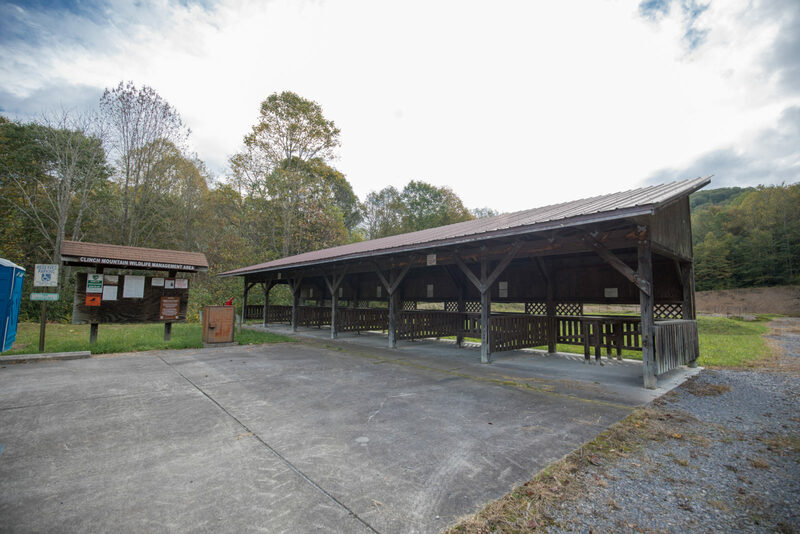 A fee fishing area is open on Clinch Mountain WMA seven days a week during the fee fishing season, which runs from the first Saturday in April through September 30. 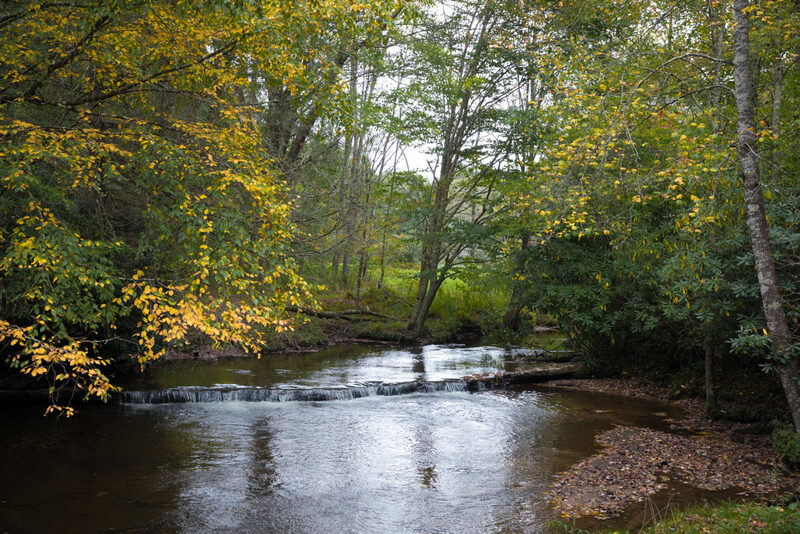 The area consists of approximately 7-miles of Big Tumbling Creek and its two major tributaries, Briar Cove Creek and Laurel Bed Creek. Big Tumbling Creek is a large, steep gradient stream with numerous small waterfalls and large, deep rocky pools. The two tributaries are much smaller with a more moderate gradient. The fee area is stocked frequently. A daily permit in addition to a valid state fishing license is required to fish on the fee area, however a trout license is not required. The area has a good road system for gaining access to the interior although some are open only during specified seasons. Closure of roads, scheduled to be open, may also occur during periods of inclement weather. There is ample parking space. 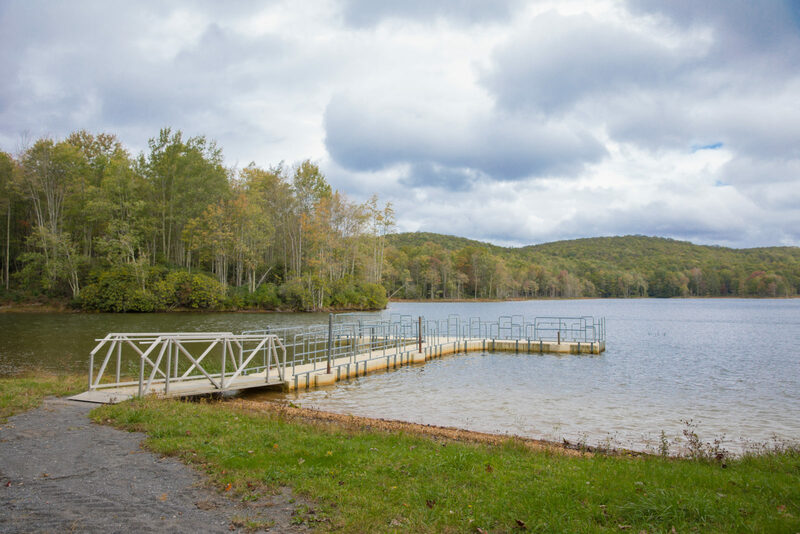 Two boat ramps are available at Laurel Bed Lake. A shooting range for archery (broadheads prohibited) is near the resident manager’s house. A 100-yard sight-in range is available from September 1 through March 31, weather permitting. The range is for zeroing-in rifles and patterning shotguns; use of pistols and revolvers is prohibited. The closest town is Saltville, reached from I-81 and Chilhowie via state route 107. In Saltville, turn left onto route 91 (0.25 mile); then right onto route 634; bear left onto 613 and proceed 3.5 miles; then right onto route 747 to the area. Consult map for greater detail.